Attorney Shea Stevens‘ practice concentrates exclusively on family law issues including: divorce, legal separation, paternity, custody, child support, maintenance, post divorce modifications, common law marriage, prenuptial and postnuptial agreements in both Kansas and Missouri. Ms. Stevens has experience in all aspects of family law, including contested custody issues, dividing high net worth cases and determining the value of one’s business. Ms. Stevens has a team of professionals from accountants, financial advisors, realtors and therapists to provide client’s the best possible service and outcome of their case. 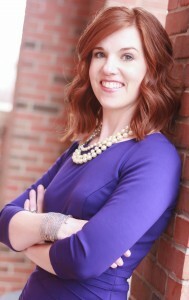 Ms. Shea Stevens is a graduate of Kansas State University and University of Tulsa School of Law. She is actively involved in the local bar associations, including the Johnson County Family Law Inn of Court, Association of Women Lawyers, Kansas City Metropolitan Bar Association and has given several CLE presentations on Ethics and Parenting Plans. Ms. Stevens has been recognized as a Rising Star in Superlawyers (KS & MO) and Best of the Bar – Family Law by the KC Business Journal.